Nutz Guba of Team DD Extreme is 16 ranking points behind Perez, with a win in the Kabasalan regional ranking, twice 2nd in the 150K Zubiri-Deticio Malaybalay Open and the Kalilangan Festival, and a T8 finish in the Philippine Open. The top placers in the biggest 7.5M Philippine Open earned the biggest points. Thus, the champion of the Philippine Open, Krysztof Ratajski is in 3rd place with 112 points, the 2nd placer David Platt is in 5th place with 96 points, and Lourence Ilagan, the joint 3rd is in 6th place. Cyril Batawig with his win in the 120K Panabenga Open is in 4th place. 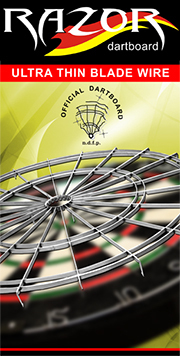 There were a total of 7 National and 4 Regional NDFP Ranking Tournaments with a total cash prize of 8.5M. 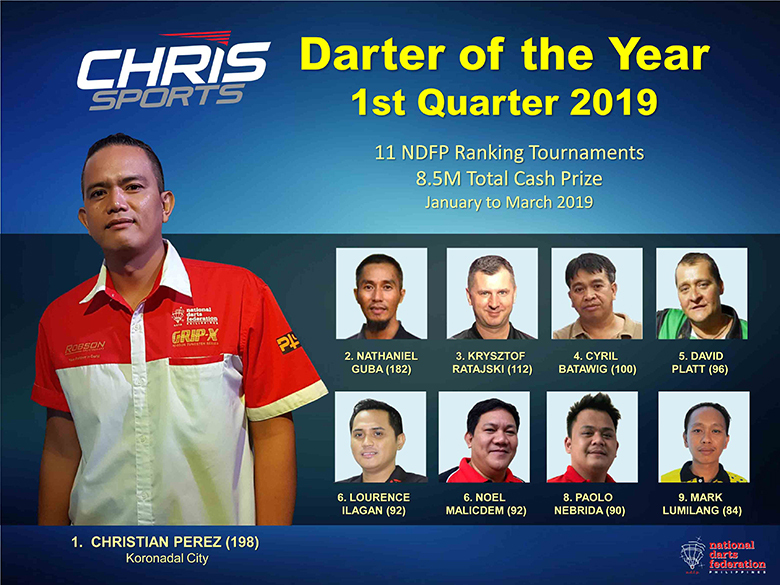 Stiffer competition is heating up for the 24K cash prize and for the bragging rights as the Chris Sports Darter of the Year 2019. The 2nd Quarter Ranking tournaments are almost fully booked and the race is very much wide open for anyone to win the award.